Item # 313653 Stash Points: 2,495 (?) This is the number of points you get in The Zumiez Stash for purchasing this item. Stash points are redeemable for exclusive rewards only available to Zumiez Stash members. To redeem your points check out the rewards catalog on thestash.zumiez.com. 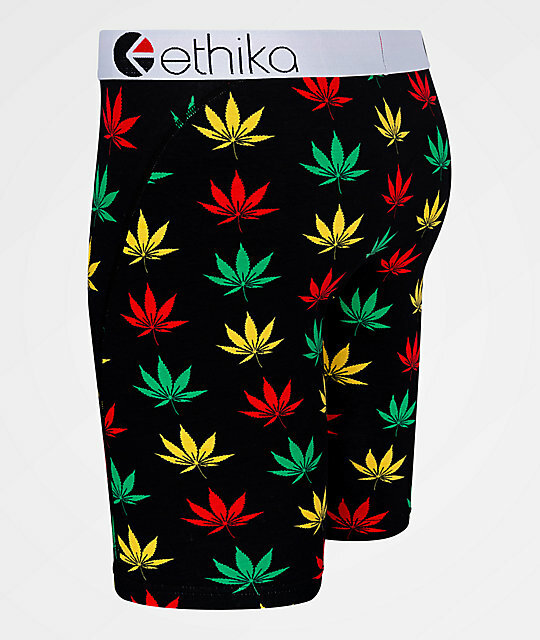 Keep your underwear collection "lit" with a pair of Ethika Happy Leaf Boxer Briefs. 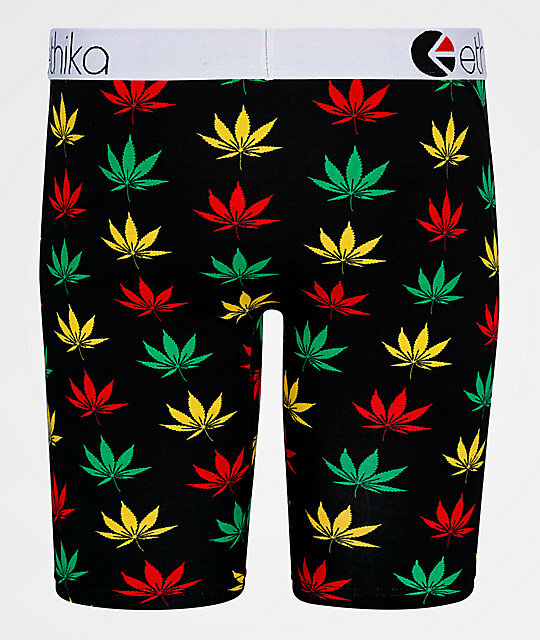 These mostly black boxers are covered in multicolor marijuana leaf print throughout for a colorful look. Complete with no-rise leg technology and flatlock stitched seams, these will be your new lucky underwear for sure. 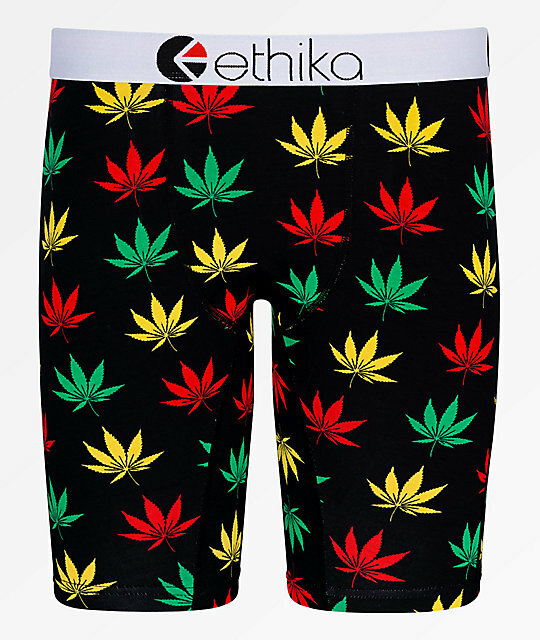 Happy Leaf Boxer Briefs from Ethika.